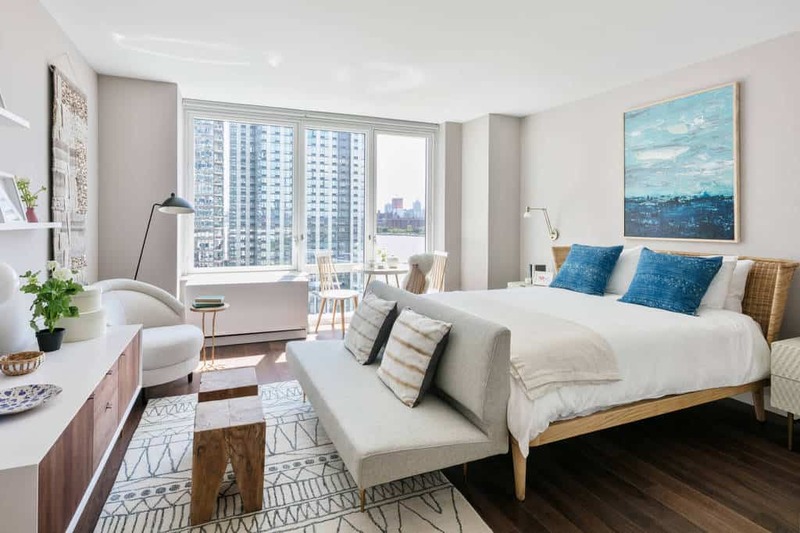 Whether you are designing an entirely new bedroom or remodeling an existing one, we know just how important it is for you to get it right. A bedroom is where you want people to feel relaxed and comfortable, somewhere they love to go each day. 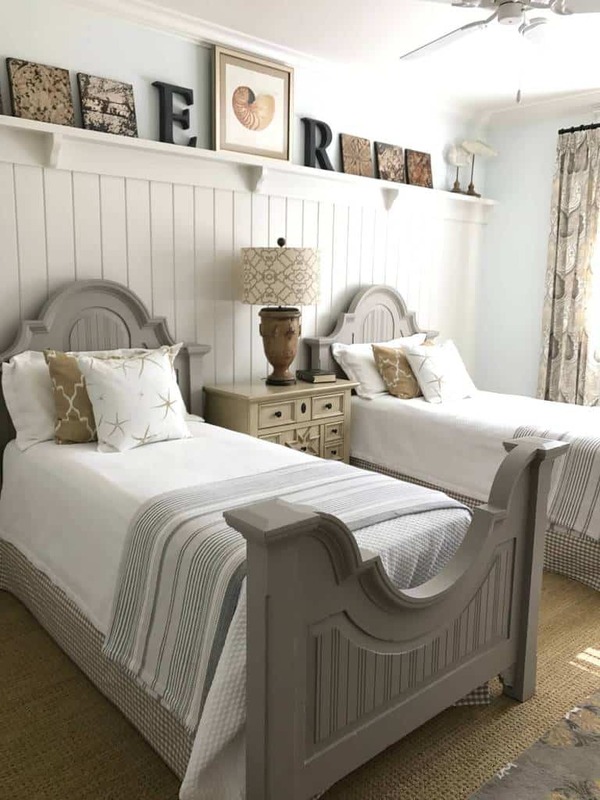 Choosing the right style for a bedroom can be tough, but if you are looking for a beach design, we are here to help. 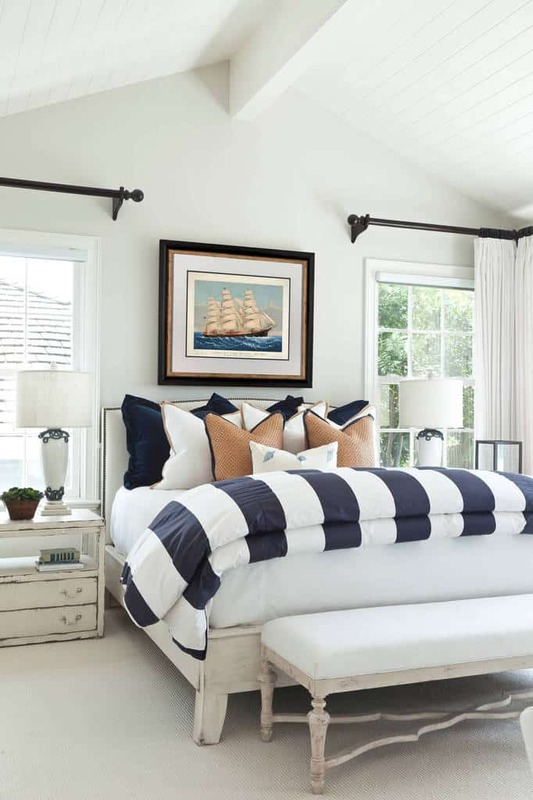 Below, we have gathered 20 beach bedroom designs and ideas for you to browse through. Take your time and find something that can match your personality. With a canopy bed and wonderful access to the outdoors, this bedroom can become a romantic beach getaway for you. With a beautiful mix of calm colors and patterns, this could be your space. The wall style brings a great texture to this room and the blue patterns match it well. With simple furniture to go with the hardwood floor, this room is really a great space to relax. This room has a wonderfully simple beach theme that works so well. With great decor to complement the perfect patterns, you can open up and sit right outside and relax. 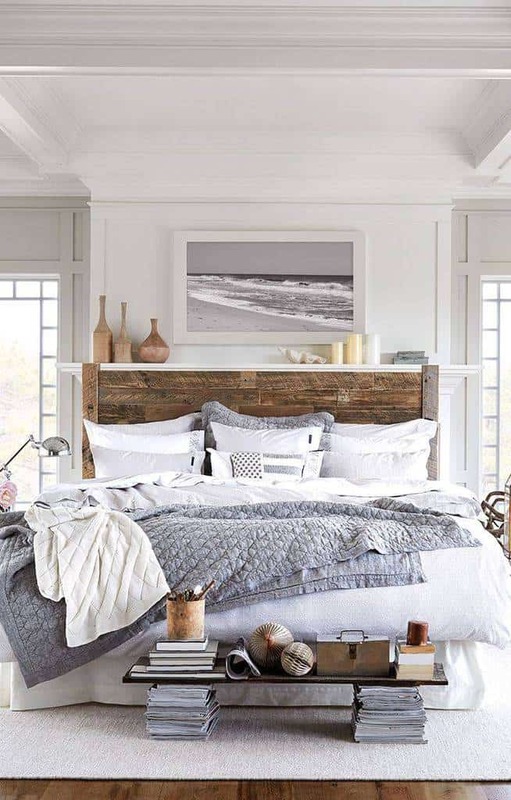 With a wonderful and simple wood framed bed, this room has a classic beach style. The white wooden plank walls are traditional and easy to design around. Bring on the romantic sense with this room. A beautiful canopy bed is a great way to set up a luxurious style. This room allows the natural light to spill in from all directions to show it off. With a traditional style here, combined with the hardwood floor, you can see the how well the darker, earth toned walls work to complement it. When you choose a theme for your bedroom, sometimes you really need to go for it. 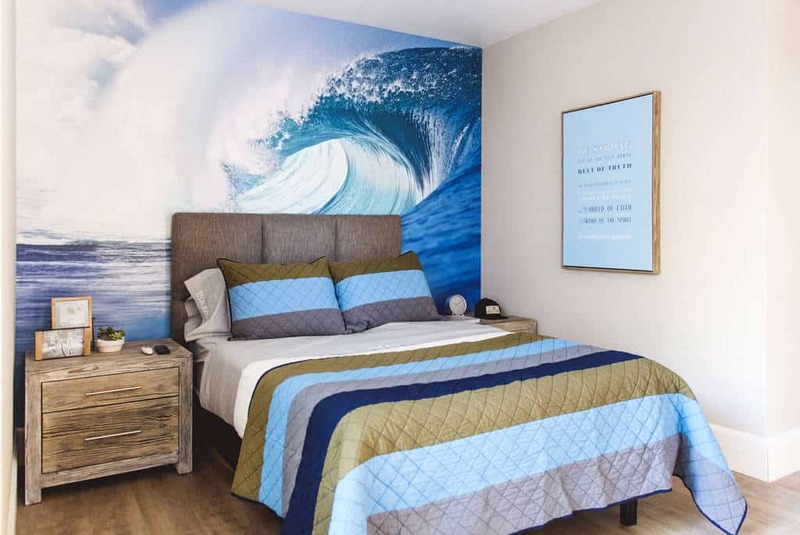 This room rides a wave to a fun space, with a great color scheme and wonderful hardwood furniture. Photo by Barnes Vanze Architects, Inc. 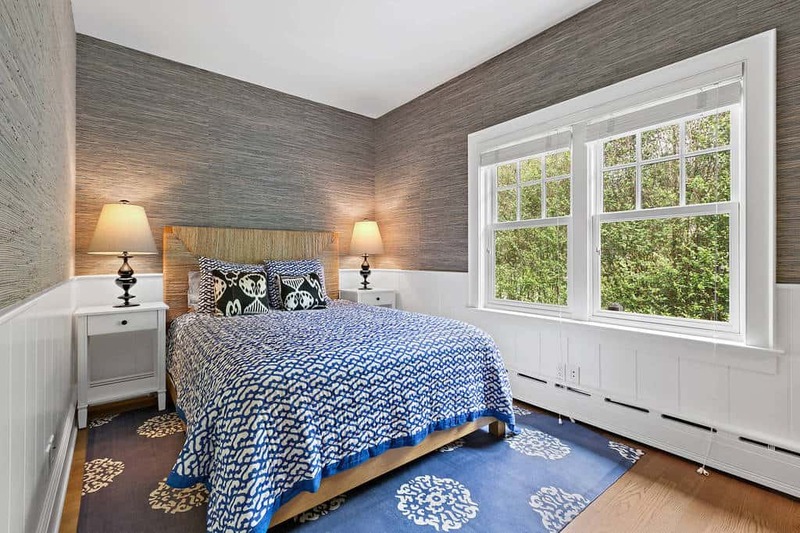 This bedroom is a complete space, giving you a space to relax with a book or take a nap. You can go and open up to walk out to the patio if you want. This room uses light colors and great patterns to make it great. The curtain patterns used in this room really catch the eye and they match the style of the room well. Well lit thanks to the many windows, you can enjoy the natural light shining in. With a traditional mid-century style for the room, you can really bring a room to life. The white walls and furniture are contrasted so well by the dark blue, transforming this room into a beautiful space. With light styled wooden furniture to lead the way, this room is filled with the right amount of colors and great patterns. The decor is simple and a great match for this room. 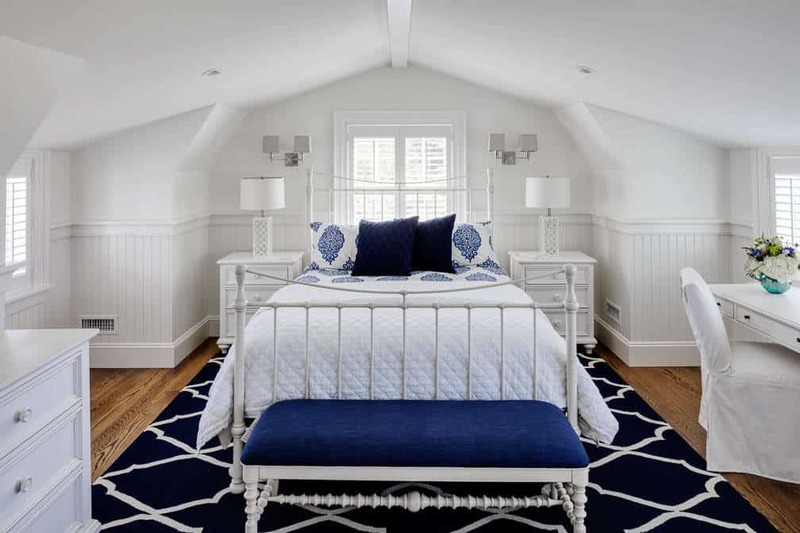 With a calm and wonderful layered effect, this room uses blue and white so well. 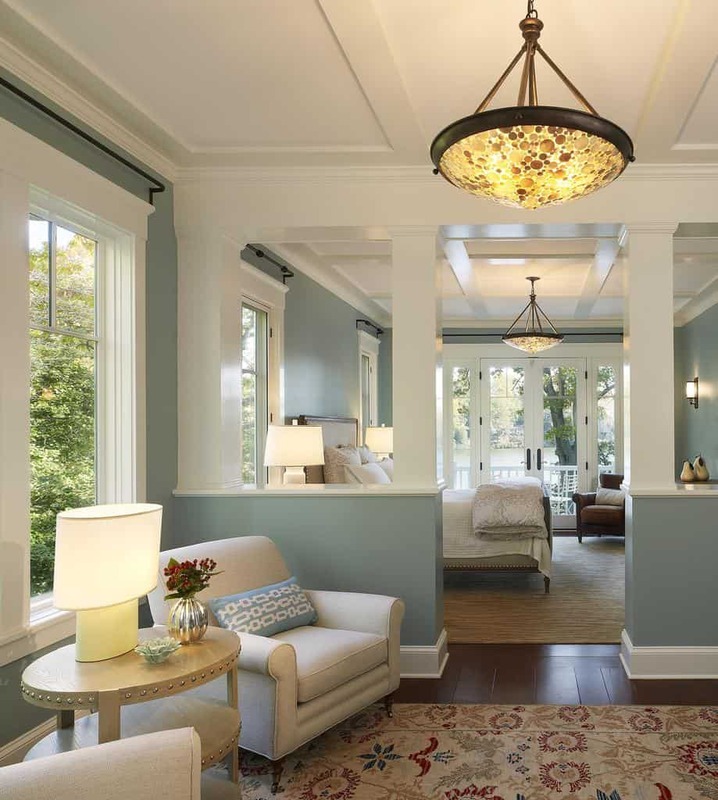 With perfect matching decor, this room shines in the natural light. 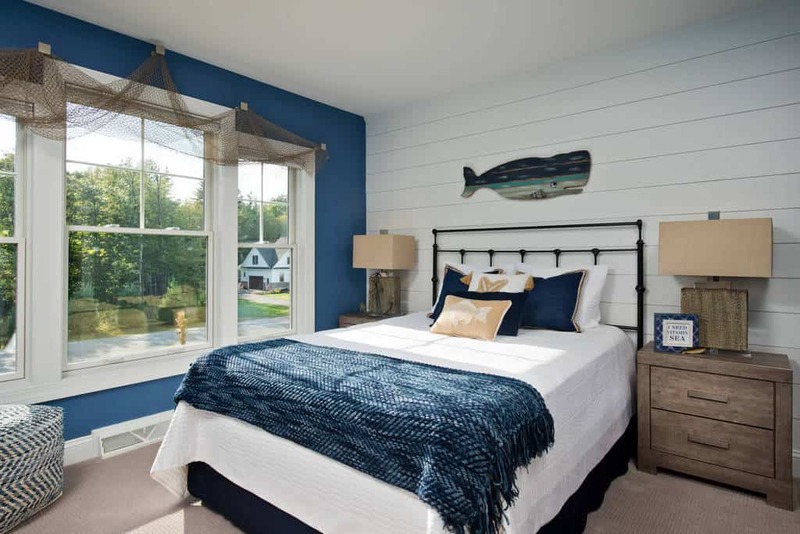 Like the rhyme of the ancient mariner, this room takes a hardwood floor, matches it with a beautiful hardwood headboard, and gives you a perfect sea theme. The decor is spot on, completing the effect. Take your sense of color and brighten it up. 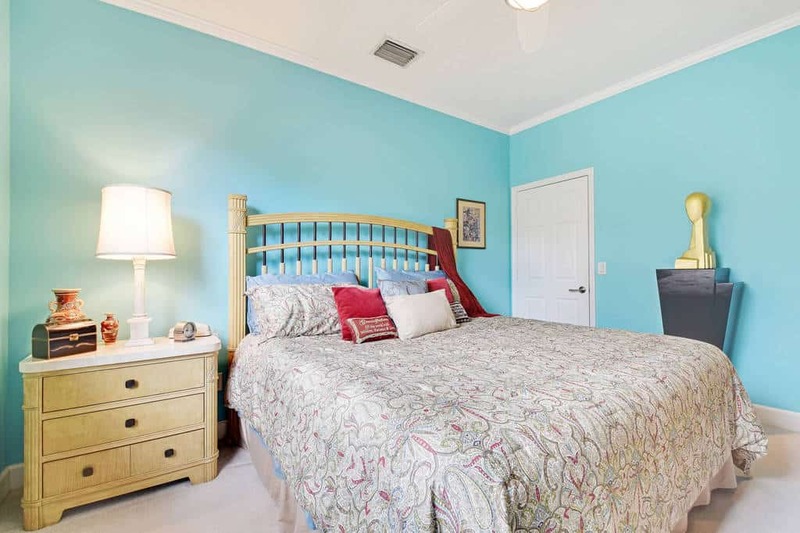 This room uses a bright blue to bring it to life and adds in some wonderful decor to make it great. Take a trip on a sail boat every time you come to your room. 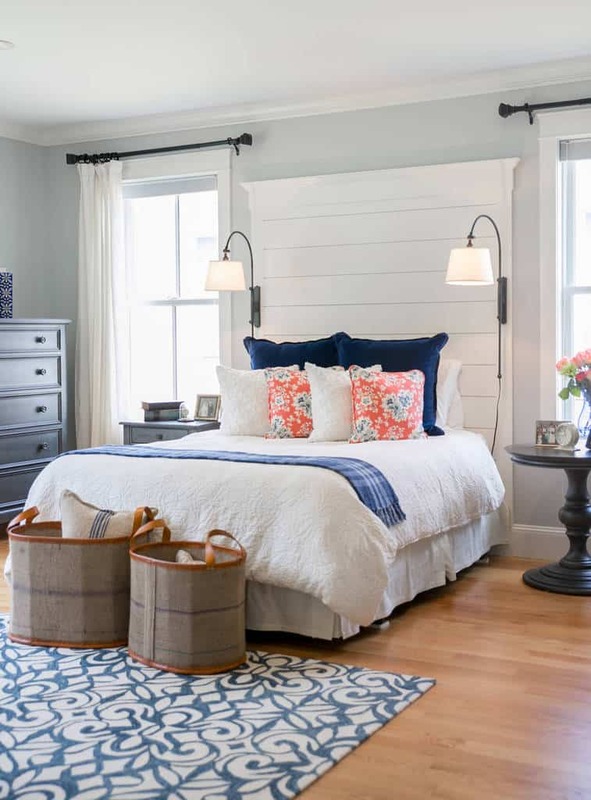 This space has a great style, with weathered looking furniture that brings character and a color scheme that is pure ocean style. Photo by Bonacio Construction, Inc.
Dream of sailing and fishing in a room like this. The blues bring an ocean style and the decor will take you to another place. Enjoy the comfort and life of this space. With a high ceiling and a spacious room, you can see the breezy romantic style of this space. 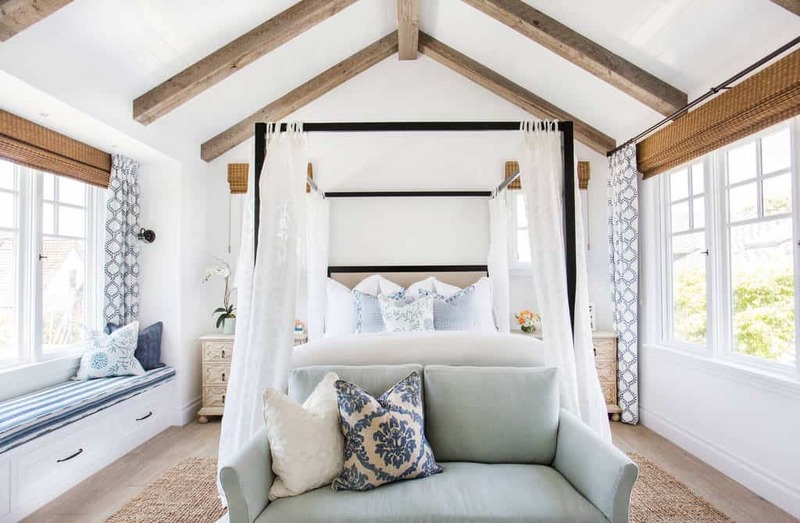 The canopy bed is matched by beautiful furniture and the hardwood floor is perfect for this room. 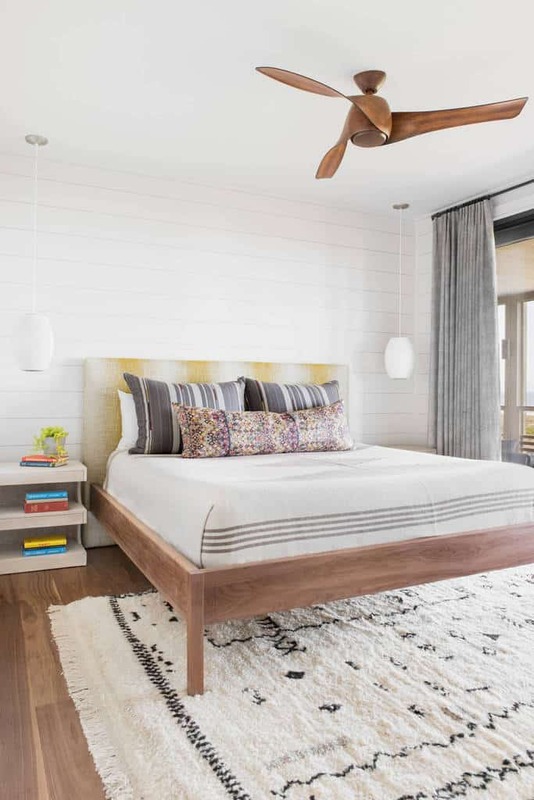 With a traditional space to work with, this room uses light colors and simple furniture to make a great bedroom. The beach theme is present and works so well here. The twin beds have wonderful earth-toned color to match the style of this room. The decor is perfect and matched by great patterns on the curtains and pillows. Starting with the hardwood floor, this room takes light styles, great colors, and creative patterns to make a beautiful theme. This space is light and fun, giving you everything you need.